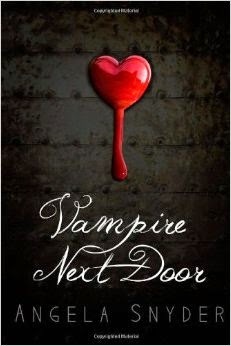 What can I say about this novel by Angela Snyder besides it was pretty darn good?!?! I was pleasantly surprised at how this novel grabbed my attention and held on to it until the very last page. I have had case of book hangover after reading about the life and loves of Jane Doe, the heroine of the story. The novel begins with a hunter finding an unconscious woman in the woods with no identification and once she awakens after being in a coma for three weeks, she doesn't have a single memory of the life she lived before her mysterious accident. Fortunately for her, she is cared for by a very compassionate man Dr. Jack Walker whom she begins to rely on to get her through her recovery as her only friend. However, she cannot shake the occasional feeling that she is being watched. But luckily for her and us the readers, she is being watched by the sexily mysterious Sebastian Alexander, who only wants her happy. I was instantly pulled into this book from the first sentence. I found the writing to be good and the characters intrigued me, drawing me in to read more. There was Josie Banks, an anomaly to say the least, who did exactly what she wanted to do, how she wanted to, and when she wanted to do it. Josie’s past was well… complicated. However, one thing was for certain, she was absolutely entranced by Tristan Fallbrook, a tattooed bartender with a photographic memory. She is drawn to this man like a moth to a flame that burns by the fire. Josie watches Tristan from afar and has planned her shadowy existence around getting a daily glimpse of him at the bar where he works. Like clock-work, Josie goes to the bar and sits in a corner and draws and waits for him to arrive for his shift until one day they meet… so I thought. Tristan already knows her but not as Josie but as McKenzi. I never quite got as far as to why the name change, in depth that is, because an unusual mobster character was introduced with his own internal dialogue and his point of view. On the quest for the next read, I came across Pretty Little Things. I wanted a stand-alone novel that had the usual boy meets girl, they have a secret past with tons of chemistry and BAM…they eventually live happily ever after. So, I ended up with Annie and Colin. There was a shroud of mystery behind these two and it took a while for me to want to figure it out. I was under the assumption for the first few chapters that Colin was over 21-years old with all of his drinking and bossiness. However, I learned that he was just a 20-year old that received “favors” on a regular, who drank and cursed like a sailor. On the other hand there was Annie, who was timid but slightly not who had this interesting relationship with this guy, Colin, who appears to be her brother/protector yet always professing to be the “bad” guy. As I was looking for the next read, I happened upon The Beast. I was unsure if I was ready to leave the fairytale happily ever afters because like most folks, I too, can appreciate a happy ending at the conclusion of a romance novel or trilogy. How-so-and-ever, curiosity got the best of me as I clicked to purchase this novel written by Jaden Wilkes. Wow, was all I could say as the story unfolded before my eyes with Dimitri “The Enforcer” Sokolov the scarred, vicious, member of a Russian crime family who I cannot quite use the word “hero” as an adjective to describe him. And then there is Columbia Grey, the nurturing and abused lady of the moment who I cannot quite apply the word “heroine”. Now cue the Kill Bill Vol. 1 soundtrack. So, I just finished the second book of the Layers trilogy today and I immediately got entranced in this book. Tristan deserves to be arrogant in this book and every installment before and after because he is so very good at what he does; and he does it all oh so well as it is written between the front and back covers of Layers Peeled. On the other hand, Little Miss Trouble better known as, Allie, is into all sorts of shenanigans. At multiple turns, Allie leaped before she looked on so many occasions to a point where I just wanted to scream at her "look at your life, look at your choices". I was hoping that Tristan would just tell her to sit down somewhere until the little one arrived.